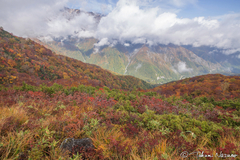 I spared a few hours and went out to find how the season is changing from summer to autumn. 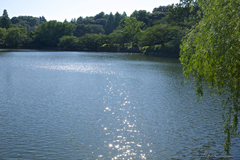 The destination is Tamagawadai Park, where I photographed Hydrangea this June. 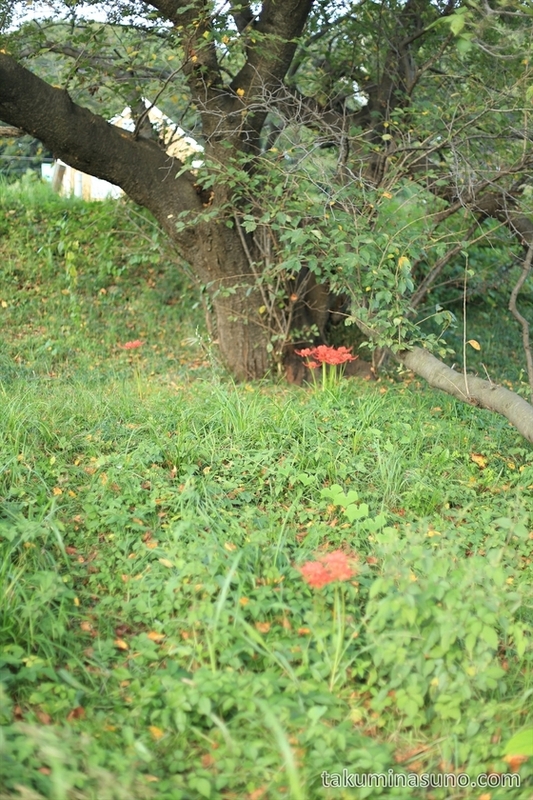 On the way to Tamagawadai Park, I found Lycoris radiata so many times that I stopped and shooted them. Along Tama River, they seem to grow under sakura trees. 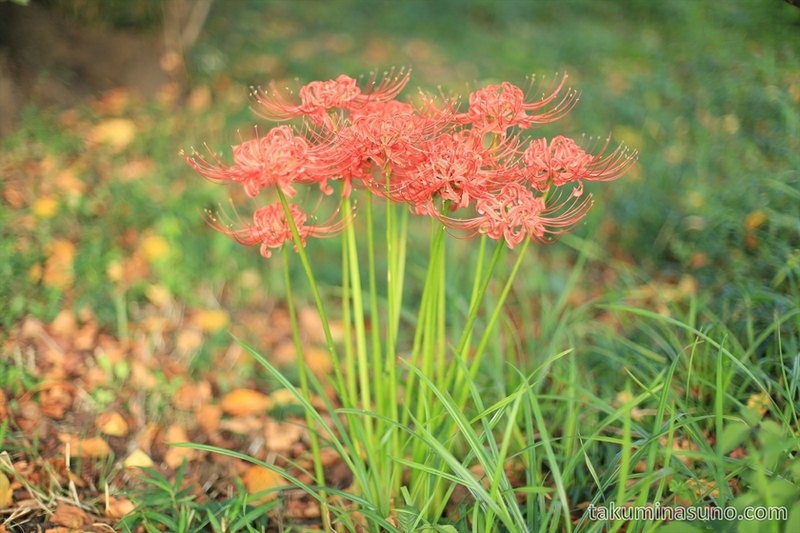 I approached to Lycoris radiata. They are growing in a well-arranged order. I shooted them from above. 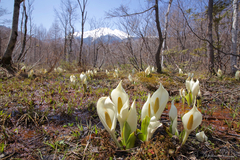 Lyciris radiata is available in really a lot of places. 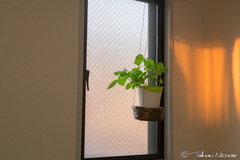 I felt that it is as common as Sakura or Hydrangea. 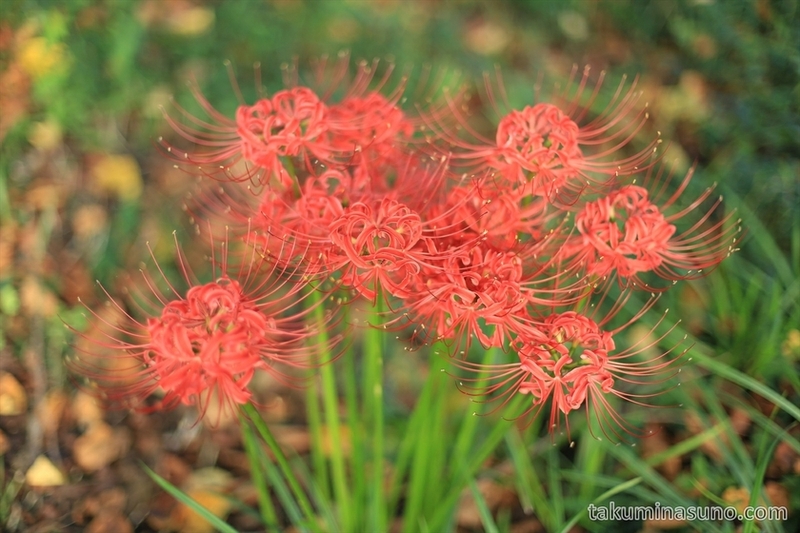 By the way, Lycoris radiata is called "red spider lily" in English. I was surprised to hear this because the name perfectly describes what it looks like. Quite different from what it often symbolizes in Japan, though. Now, I'm entering Tamagawadai Park. I'll write it in another entry so please wait for a while.